We can generate electricity in roof top through solar PV Panel arrangement and the same electrical energy can be used in our electrical consumption. If solar energy produced is more, the electrical energy will be exported through the Bidirectional meter to the TANGEDCO grid. If the energy is less than solar energy produced, then TANGEDCO energy will be imported through the same Bidirectional meter to our electrical consumption. The difference between export and Import energy will be net energy consumed. 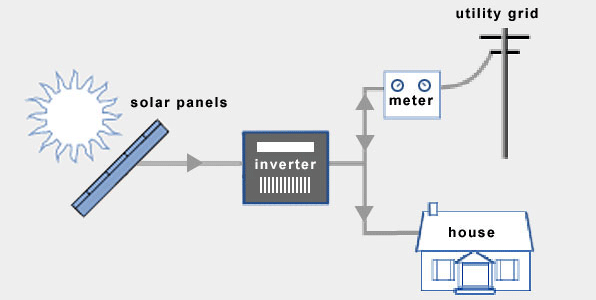 Net energy shown by the Bidirectional meter is net metering. 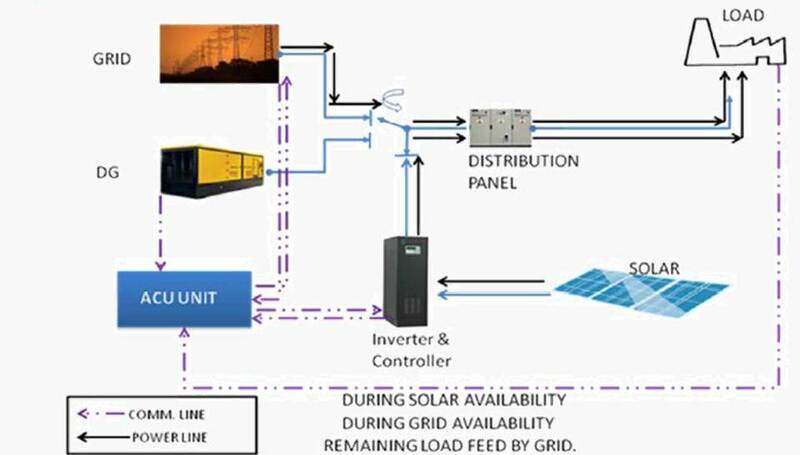 Solar Off grid system works by generating electricity from solar panels and using it to charge a solar battery via a charger controller. That electricity is then converted using an inverter so that it can power the home or business appliances. By saving the electricity in a solar battery, it is possible to run home with solar energy, even at night or during times when there is less sun exposure. Solar Hybrid systems generate power in the same way as a common grid-tie solar system but use batteries to store energy for later use. This ability to store energy enables most hybrid systems to also operate as a backup power supply during a blackout, similar to a UPS system.